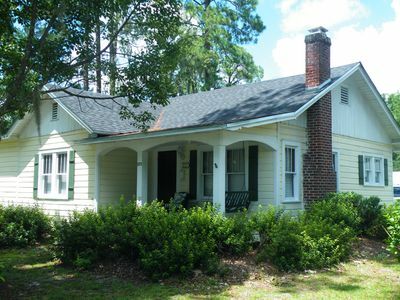 The Azalea Cottage is a recently renovated house with 3 bedrooms, 1 full bath, and 1 half bath. 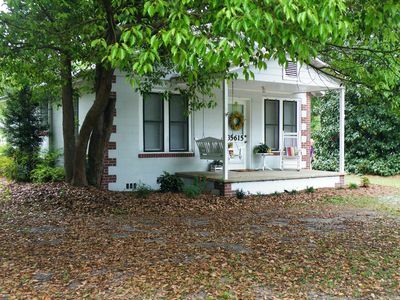 The house sleeps up to 8 people (with 3 beds and a sleeper sofa). A washer and dryer is included for your convenience. Relax on the front porch swing. Train watchers are within easy walking distance (2 blocks) of the train watching platform, as well as the Train Museum in downtown Folkston. The Okefenokee Swamp, is a short 8 mile drive where you can enjoy scenic views and see a variety of wildlife (including alligators). Take a guided boat tour of the swamp or rent a boat and tour the swamp at your own pace. You can also enjoy the raised boardwalk through the swamp and climb the tower at the end for an expansive view of the swamp. An informative visitor's center will educate you and your family about the swamp and its wildlife.